Engineers in the U.K. are buzzing over a vertical-axis turbine, that might be superior to those familiar white windmills. If you’ve ever driven past a wind farm in the desert or the plains, you’ve probably marveled at the turbines’ scale, then wondered: why are so many of them still? There are a number of reasons?wind speeds and directions vary, broken machines are hard to fix, since the machinery sits hundreds of feet off the ground?but the bottom line is that wind power generated on land is relatively inconsistent and it takes up a lot of real estate. 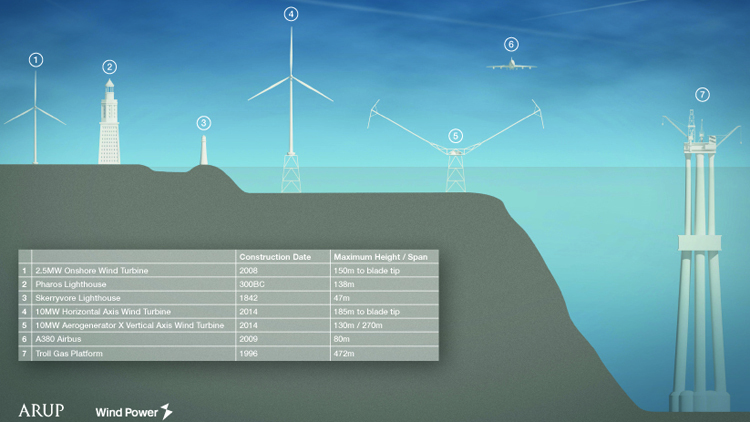 Many wind prospectors are looking to off-shore cultivation instead. 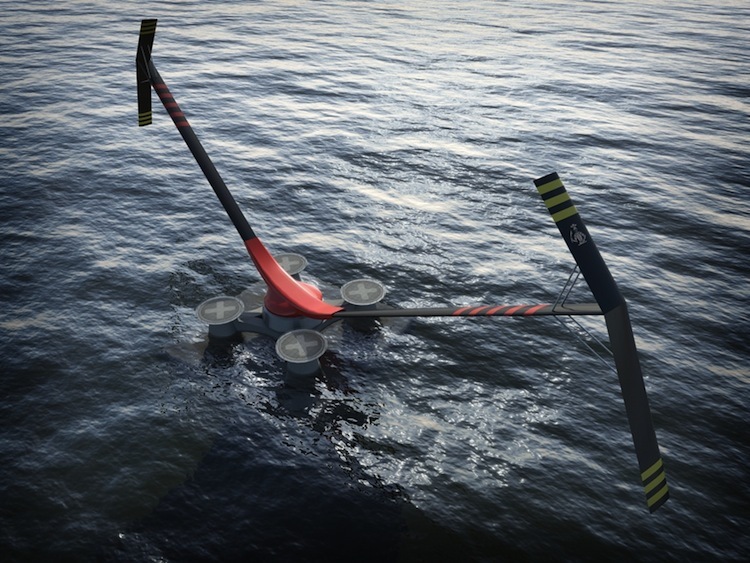 In the UK, where limited land area makes open water wind even more appealing, a new turbine design called the Aerogenerator X is causing a lot of excitement, promising 10 megawatts per machine and potentially more as the design scales up–around three times the current yield of wind-power generators. A prototype is slated for completion by 2013. The Aerogenerator X revealed today is the result of an 18-month feasibility study funded by the Energy Technologies Institute and conducted by engineering firm Wind Power Limited, along with Grimshaw Architects, Arup, Cranfield University, and several other academic and private institutions. While it is not the first vertical turbine (the Darrieus VAWT was patented in the early 1930s and other examples exist from centuries before), the Aerogenerator X signals potential for greater commercial interest in vertical-axis technologies. According to an article in today’s Daily Mail, British political parties don’t necessarily see eye-to-eye about the way forward for the country’s energy supply, but offshore wind looks like it could contribute significantly to reaching the national goal of sourcing 15 percent of energy from renewables by 2020.